FlexiFee It was proud to be an exhibitor at the 20th World Congress of Accountants (WCOA) in Sydney this month. This forum was centred around the future direction of the accounting profession with the mission to bring together finance leaders, policy setters, accountants and business leaders in a world class business event. 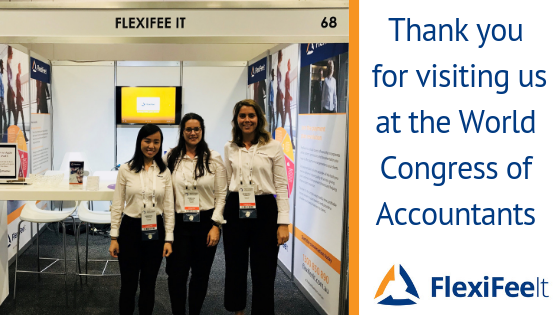 The FlexiFee It team had an enjoyable experience at the World Congress of Accountants event in Sydney. We met over 6,000 delegates from all over the world who are all keen to help shape the future of the accounting profession; hailing from USA, Africa, UK, Japan, China, India, New Zealand and of course, host nation Australia. You may have heard us say that we surveyed our clients and 40% say they would pay their fee’s/invoices monthly if they had the option. FlexiFee It has the solution for you! 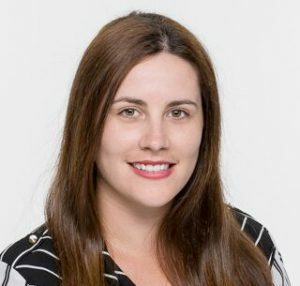 We are an Australia based firm with the capability to go global, with multi-language and multi-currency software. Our cloud-based software incorporates all the systems, procedures and documentation you need to offer monthly payment plan arrangements to your clients. Our payment plan solution provides all the tools you need to deliver a higher quality of service by giving your customers more payment choices. We hope that you enjoyed meeting us at the World Congress of Accountants forum and were lucky enough to score one of our reusable glass coffee cups. So, tell me, are you going to join the payment plan revolution?